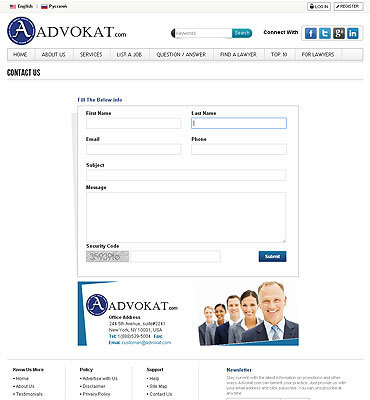 Advokat Web portal connects the lawyers and the clients. 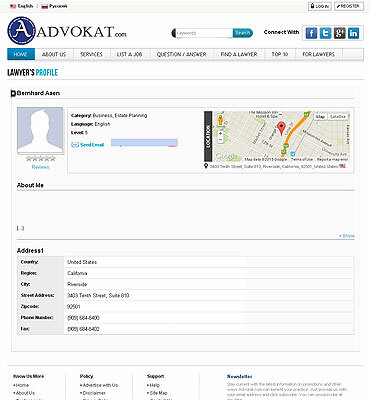 This website helps clients to search for the advocates based on their location, specialties, price range, badges etc. 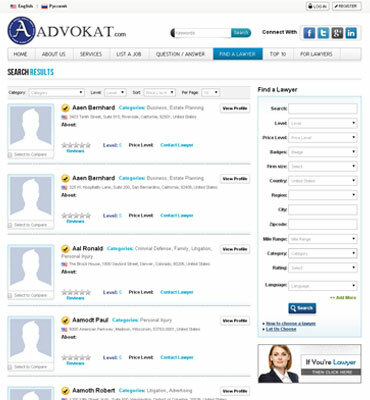 Clients can also search for the advocates based on the reviews of other clients. 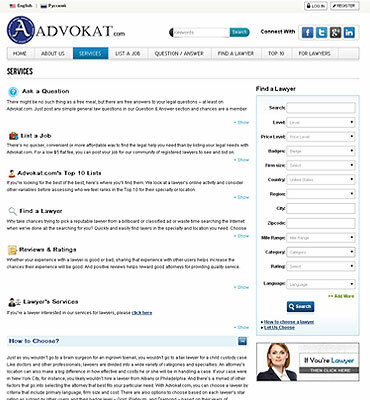 This website provides a platform to the clients or users from where they can get professional legal help when they need it. The concept was very unique where we had to implement the functionality of efficient search of the lawyers or the consultants for the users along with the management of the various lawyers with the explanation of their specialties along with reviews and ratings. Another challenge was to develop a website for multiple user interfaces i.e. for clients, lawyers and the administrators. 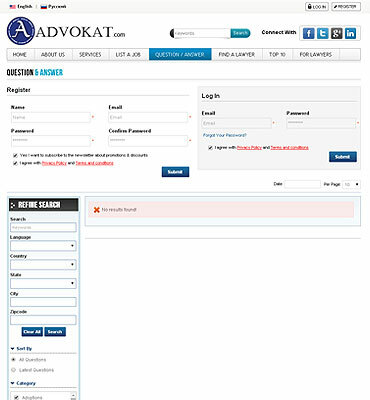 The web portal Advokat was developed on PHP/ MY SQL Platform. So, we needed to assign dedicated team for this platform i.e. PHP/MY SQL. The team has been consistently monitored by the Project Manager to make the website live. Front-end Our team has created a portal with simple yet elegant design with all the prime features required by the clients. 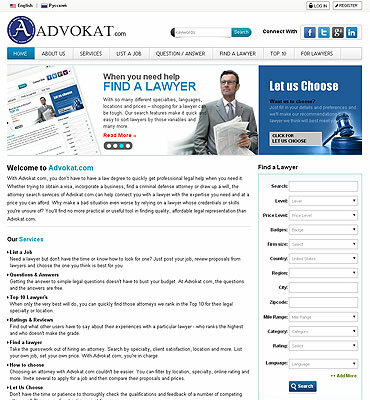 Our experienced graphic designers choose right combination colors and images that go well with any law firm website. Backend Our developers have excellent programming skills and knowledge which they utilized in developing this website. 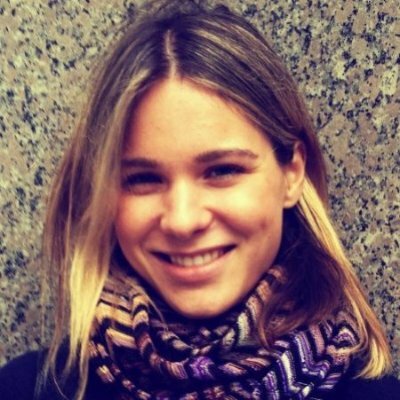 The developers worked with front end engineers to ensure the system consistency and improve user experience.